This treatment is a natural and effective alternative for those experiencing thinning hair due to androgenetic alopecia. 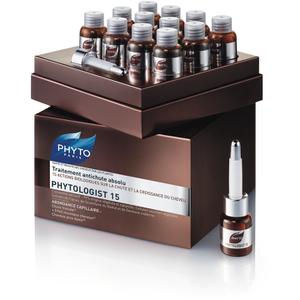 Phytolium 4 is the first thinning hair treatment using Capicellpro, a botanical complex, developed to protect the follicle cells and extend hair's life cycle. Supported by 4 patents, this energizing botanical concentrate helps prevent hair thinning, encourages healthy hair growth and thickens the diameter of each hair strand. Prolongs the life of existing hair. 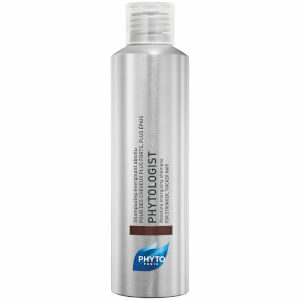 Helps to encourage hair growth with Solanum Glycoproteins. This has the worst herbal smell I've ever experienced. And if you get your hair wet the smell comes back. Don't use this if it's going to rain that day. I switched from the Revitalizing Serum because it didn't help with my hair loss. I'm not sure this will help either, I don't see much progress with that. Use it with the shampoo and it does make your hair look much thicker. I really like using this product, it's very easy to use, smells great and I do believe my hair feels denser with more body. It's not a miracle worker, it won't make your hair what it's not but I do believe that it can make your hair better for the type that it is. 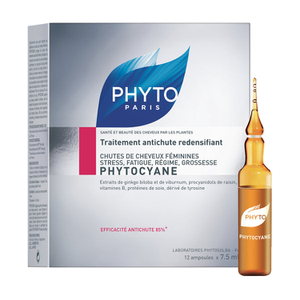 I tried it to help fight against the effects of aging on my hair. I am turning 40 and just know my hair is not what it used to be, even though my hair has always been straight and fine.I gave 4 stars for overall rating only because I've only used for 2 months and am unsure of the overall effect and if it will last and provide overall new growth. I would definitely recommend trying it for yourself. have new hair coming in !!! I have almost finished the box of treatment vials, and my new hair is about 2 inches long, after about 3 months. I am very impressed with this hair treatment product. Easy to apply, pleasant scent, and it works!!! I have had thin hair most of my life and I am glad to find a product that helps grow new healthy hair. It is worth every penny for the results. I had very thin hair after having children, I tried everything to make my hair grow and become stronger. This is the only product that has been helping. I use it in conjunction with biotin vitamins. My hair is finally becoming and thicker.